NEWS | Renewable Energy World India, 2015, New Delhi- Set up your exhibition stall and display your cutting edge power conservation solutions. 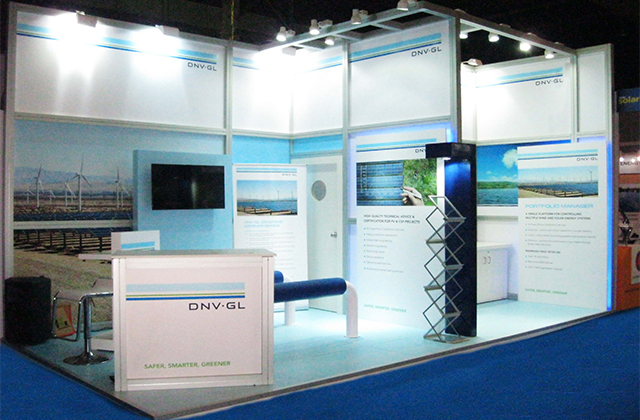 Being an exhibitor, you will come across many types of exhibition stalls and stall designs. Right from a basic shell scheme stall or 2 side open exhibition stall to a raw space or an island exhibition stand, you will find a huge range of exhibition stands and design possibilities. 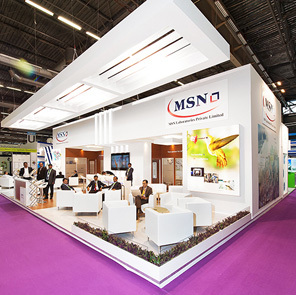 Exhibitors with limited budget and space hunt for their perfect exhibition solution provider and stall designer. If you have an upcoming show and you are exhibiting with a 2 side open exhibition stall then what are basic elements that you should be familiar with and who can be your trusted exhibition partner. A 2 side open exhibition stall can be a shell scheme space or even an individual exhibition space that needs special attention to design. Exhibiting with a 2 side open stall is a good option, provided that you have the right solution and perfect exhibition solution provider. There are a lot many similarities between a one side open and two side open exhibition stall. Also the design elements remain alike, unless you have a custom stall with a 2 side open exhibition stall design. The height and stall size of 2 side open stalls are again similar to a shell scheme stall. 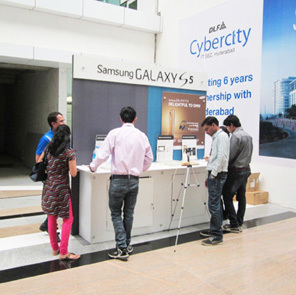 Height being restricted to 8 feet, a 2 side open exhibition stall in India can also not have hanging banners or branding. If an exhibitor wants to experiment with the existing stall design then joining two shell scheme stalls can make a 2 side open exhibition stall. How does Insta help in being your perfect partner for designing 2 side open exhibition stall? The modular exhibitions stand and solution offered by Insta Exhibitions are the perfect pick for exhibiting with a 2 side open exhibition stall. If you have not thought about the stall design yet then choosing portable stands or pop up displays with large-format graphics too can communicate your brand’s message effectively. It is not always necessary to hire a stall designer or fabricator who would design your entire stand. Rather you can choose a budget-friendly option of Insta modular exhibition stands. The Insta solutions are specifically made by keeping the brand needs and stall in mind. The portable solutions are the best choice to ensure quick and stress-free setup within a limited time. Being a lightweight and reusable option, you can also exhibit with the same exhibition stand a multiple times for your 2 side open exhibition stall design. So, next time when you are exhibiting with a 2 side open exhibition stall then you exactly know where to look for your best solution. Keep these top tips handy and exhibit in a hassle-free way. This entry was posted in Design Article. Bookmark the permalink. Get an Email for every new post! Why exhibitions are the most popular BTL platforms? © Insta Group. All Rights Reserved.